The Reverend Dr. Rolf Victor Brende died Sept. 10, 2018 in Greeley, CO. He was born Feb. 3, 1941 in Austin, Minnesota to G.I. and Beldora (Olson) Brende and grew up in Hutchinson, Minnesota. Rolf attended Luther College (graduating in 1963), where he played clarinet in the Concert Band and sang in the Nordic Choir, Norseman Quartet, and Nobleman Quartet. He met his future wife, Julie Gryting, on their first day of college, and they married in 1963, embarking upon 55 wonderful years of marriage. Their lifelong devotion to each other was an inspiration to their children and grandchildren. Rolf’s vocational calling was to the ministry, leading him to the Luther Seminary where he received the Master of Divinity in 1967. He returned over 20 years later, earning his Doctor of Ministry. He served as a pastor in churches in Janesville, Iowa; South Milwaukee, Wisconsin; and Decorah, Iowa. 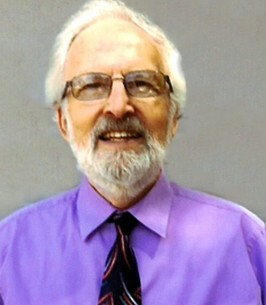 Drawn to ministering to families in the grieving process, he decided to pursue chaplaincy training in Topeka, Kansas, at the Menninger Foundation and later served as Director of Pastoral Care at Allen Memorial Hospital in Waterloo, Iowa and was Director of Pastoral Care at North Colorado Medical Center. He ministered to many families as their loved ones were in the hospital. He was instrumental in building a night chaplaincy program with area pastors. His book, Gentle Heart Primer, is a valuable guide for laypeople to support the bereaved. He was also a frequent contributor to the Lifeline publication in Waterloo, Iowa, writing inspirational columns. As an additional tool to his bereavement ministry he designed a website, where he wrote regular blogs and shared some of his beautiful photographs of butterflies and flowers from their garden. Throughout his life, Rolf was a devoted family man, involved closely along with his wife Julie in the lives of his children and grandchildren. He was a model of patience and kindness. He enjoyed hiking and camping trips, and building magnificent treehouses and other projects around the home. He was also an inventor, using his ingenuity to construct a two-story-tall solar heat collector at his family’s Decorah residence. Music was a part of his life until the end. Singing in church choirs and the Greeley Chamber Choir, he was a frequent tenor soloist. He sang the national anthem bi-yearly at the NCMC Turkey Trot for many years, and even when words left him, he could still express himself beautifully by whistling. Together with his wife, Julie, they created beautiful butterfly gardens, and he had a special connection with butterflies, even to the extent of having a pet butterfly which would greet him every day when he returned home from work. Rolf is survived by his wife, Julie Gryting Brende of Greeley; children: Heidi Leathwood and husband Jonathan of Denver, CO, Peter Brende of Falcon, CO, and Lisa Martin and husband Joseph of Brighton, CO; grandchildren: James Carter Young, Emma Young, Anthony Brende, Sadie Brende Nys, Cory Brende, Chloe Martin, and Grace Martin; great grandchildren: Eli Nys and Lilly Nys; brothers: Joel Brende and Blaine Brende; aunt, Kathryn Kvinge; a loving extended family; and many friends. He was preceded in death by his parents. Rolf’s Life Celebration will be 4:00 p.m. Thursday, Sept. 13, 2018 at Our Savior’s Lutheran Church, 1800 21st Avenue in Greeley. Memorial contributions may be made to the “Alzheimer’s Association” or the “North Colorado Medical Center Foundation” with the word “Chaplaincy” on the memo line. Checks can be sent in care of Adamson Life Celebration Home, 2000 47th Avenue Greeley, CO 80634. We welcome condolences, memories, or photos at www.AdamsonCares.com . We encourage you to share any memorable photos or stories about Rolf. All tributes placed on and purchased through this memorial website will remain on in perpetuity for future generations. Julie and family - extending our families condolences to you and your family! It was announced in church this AM (Trinity Lutheran Church in South Milwaukee, WI). We all have so many fond memories of ALL of you during your stay with us many years ago & we all felt blessed by his presence for the few short years that we were blessed to have all of you there. May God bless his memory and may our Lord give you all comfort and peace. He will not be forgotten by our family! Iam so sorry for your loss. I remember Pastor Brende well.He was so patient with young people, most especially my daughter, Karen. God bless your family. To the Brende family, Rolf was a very special person to Allen Hospital. I worked in the mental health unit, and I often sat in his chapel time after helping to bring patients to his group. He was gifted in helping patients connect with God as they went through difficult times. He was so respectful of others & honored them with his listening, non-judgmental presence. He had a heart for people and a love for God that ministered not only to patients and families, but also staff and leadership. He impacted many people for good. Just as he helped many patients with their last act of faith as they faced death, I imagine he valued his family being bedside helping and loving him with his last act of faith. May God comfort you and ease your sadness with many treasured memories. I am so sorry for your loss. Lisa and Heidi, I will keep you and your family in my prayers. I have many wonderful memories of the Brende family when you lived in Janesville. Heide was a toddler, then came Peter, followed by Lisa. I babysat with all of you. Julie, we "created" so many amazing objects in your kitchen and during the weaving class in Waterloo. May the memories you have of your loving husband, father, and grandfather keep him close to your heart. Mom (Roberta Rockwood) sends her love also. Love to all..Julie B.